Reviewed here are a number of stock trading websites which I have found useful. Stock trading websites can be used by the trader to monitor their positions, screen databases to identify potential trades, view stock charts, monitor stock quotes and to enter and exit trades. You will likely find, as I do, that you need to frequent a number of sites to get all of the information you want. While you can get most of the data from one or two key suppliers, I find the format for some information is just not what I want. Therefore, I have around five favourite web sites and use the rest infrequently. Stockfetcher is a relatively inexpensive website that allows you to do end of day stock scans or screen for stocks using technical analysis. It has many built in searches but also allows users to build their own pattern recognition searches. You can find almost any technical set up you want provided you can read their manual and write simple programs like "close is above the EMA(10)". You can try Stockfetcher for free but the stock scans will not be current. There is so much information on this site that even after using it for over four years I have still not used all of the capabilities. There is fundamental as well as technical information, the ability to search, interactive charts offered through Prophet.net. Investools purchased Prophet.net and this sophisticated charting website is now only available to Investools members. The ability to view thumbnails of up to 150 charts at a time is a huge time saver. The website provides a lot of information on options pricing and a search engine that will find covered calls is included. You have access to the Investools marketcast a short audio commentary on the daily market action as well as the market wrap. For further information please read our Investools reviews report or discussion on the alleged Investools scam. This site offers a great way to keep track of your portfolio. Once you enter the stocks you want to follow, you can view a chart of all of the stocks and any current news articles all on one web page. It is fast and the trading data is about 20 minutes behind the market. Yahoo Finance offers free delayed stock quotes, portfolio management, stock charts, financial and business news, market summaries, message boards and other information for traders. Stockcharts is a good educational site with it's chart school and also has a great chart drawing package. I save the chart setting to my favorites list and then the chart settings I want are always there. You can save a number of different settings if you want. SharpCharts allow you to plot up to 3 years worth of stock data for free and a Scan Engine which can give you trading ideas. StockScores allows non paying members to search stocks using a few basic search criteria and has a good educational section. Stockscores has an easy to use gallery viewer, which lets you examine 10 stocks at a time once you have built up a watch list. It features basic and java-based charts. It is also one of the few chart services which will give you the number of trades which occurs in a stock during the trading day. Interactivebrokers is a brokerage firm offering online stock trading for as low as $1/100 shares. They offer an inexpensive way to buy and sell stocks and they are increasing the amount of online education they provide. Offers news and commentary on market action, personal finance section, portfolio management, newsletters and research, stock quotes, stock screeners and other information for traders. Provides access to professional-level research tools such as interactive charts, quotes, industry analysis and intraday stock screeners, as well as market news and commentary. An extremely important area in trading is trader psychology. 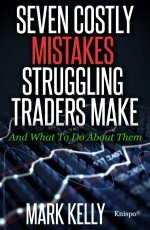 To learn more about this area there are two websites which I have found that feature interviews from two top trading coaches Mark Douglas and Adrienne Toghraie. To trade well, first you need to identify your edge, then understand what type of money management you need to trade your edge and then you need to take the trades when your signals tell you to. All aspects of trading involve psychology and while most people do not want to go into this area, when you want to become a profitable trader it is one that you will need to get educated in. There are a number of external sources which also give a comprehensive list of stock trading websites. These sites give information on new websites as well as compare the offerings of numerous web sites which deal in the stock market.